The game Battleship is perhaps the most fun a student can have practicing using a coordinate grid. 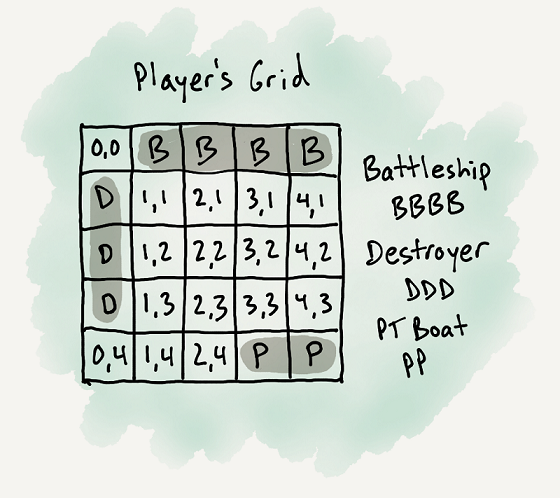 The original Battleship game is a 10x10 grid with numbers on one axis and letters on the other. To help us practice using the correct coordinates for the grid of micro:bit LEDs, let the students play a smaller 5x5 version of Battleship using x and y coordinates instead of letters and numbers. Have students make their own sets of 5x5 grids to reinforce the layout of the micro:bit grid. Each student should make two grids. One grid is for placing their own ships and keeping track of their opponent’s hits and misses and the other grid is for keeping track of their own hits and misses while trying to determine the location of their opponent’s ships. Player’s grid: Mark where your ships are and keep track of your opponent’s hits and misses. 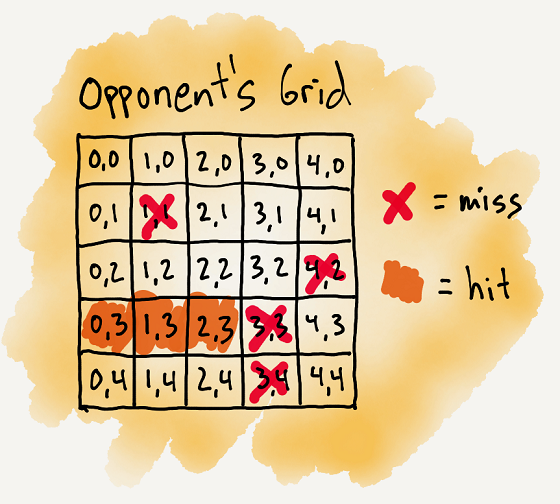 Opponent’s grid: Keep track of your hits and misses while trying to locate your opponent’s ships. Then pair the students to play against a partner. Each student’s ships are hidden somewhere on their 5x5 grid. Students should be taking turns calling their shots using x and y coordinates, in the proper order. Their opponent will use those coordinates to plot the location of their shots. Since their grid is only one quarter the size of the original Battleship grid, students can use fewer and smaller ships. For example, they could play with 3 ships, one each of size 3, 2, and 1. The game can be played with just paper and pencils or you could use small tokens and markers, like coins, buttons, or paper clips to represent the ships. Place students’ grids in sheet protectors or laminate them so they can be used again and again with white board (dry erase) markers. 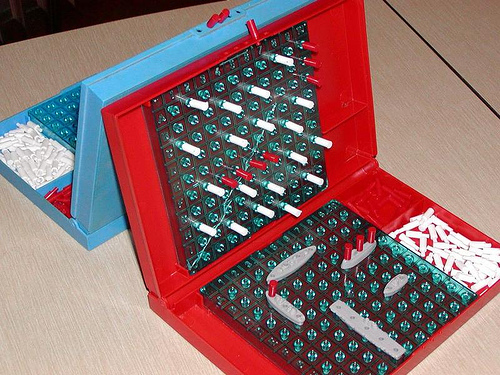 The official rules of Battleship are easily found on the internet. Modify them as needed for your particular class.